It is with sour displeasure that I, Onyebuchi Eze, a Biafran activist and a member of Family Writers of Indigenous People of Biafra join voices with my fellow Biafran activists, local and international journalists, local and international human right bodies, independent observers and every other Nigerians of good conscience to condemn in totality the unprecedented harassment and molestation meted on the above listed victims by DSS in the federal high court Abuja on 10/1/2017, where Nnamdi Kanu is standing trial of treason. (1) When did DSS become a security agency which is statutorily duty bound to provide security to Nigeria court instead of Nigeria police force? 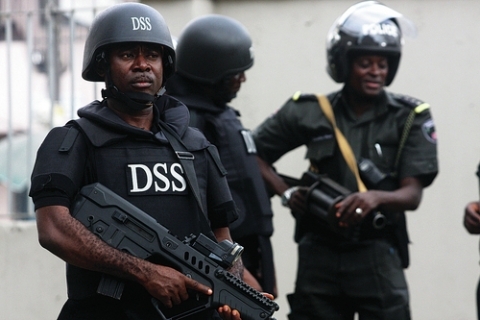 (2) Has DSS also usurped the responsibility of providing security to court from Nigeria police force? (3) When did Nigeria judicial council also started allowing DSS to start intimidating innocent and law abiding citizens including journalists and human right observers in court with such impunity? (4) When did Nigeria drift once again into dictatorship in democratic Nigeria to the extent that of journalists and human right observers being denied access to court rooms? These are questions waiting for answers from Nigeria Judicial Council and Nigeria Bar Association. DSS was seen arresting and humiliating journalists and human right observers within the court premises with nobody cautioning them of such impunity. It is upon the above listed lawless dispositions of DSS against law abiding citizens while on court sitting of 10/1/2017, that I hereby call on Nigeria Judicial Council and Nigeria Bar Association to stop DSS from rendering security services in court premises because there is no law anywhere in Nigeria that recognize DSS not to talk of being constitutionally responsible to provide internal security to Nigeria, court premises inclusive. Nigeria police force remain the security agency recognized in every existing laws in Nigeria as responsible to provide security services to every part of Nigeria, court premises inclusive. If Nigeria Judicial Council fail to stop DSS from harassing law abiding citizens, journalist and human right personnel in the court in the name of securing the court premises, mark my word, soon they will one day deny a judge entrance into the court room. If Nigeria Judicial Council continue to allow DSS to behave as lawless as they are behaving at the moment against law abiding citizens, soon they will humiliate judges in an open court. Let DSS be made to totally hand over security around courts back to Nigeria police which is constitutionally duty bound to provide security everywhere including courts. People are now tired of the excesses of DSS in Nigeria and should be disbanded. As next court sitting is 12/1/2017, we are expecting nothing but a total hand over of security around the court to Nigeria police to avert the looming anarchy in the court soonest. I rest my case!